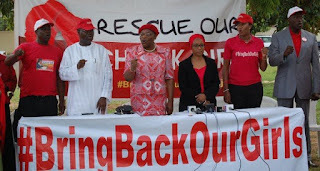 BringBackOurGirls group said yesterday that the statement by the presidency a few days ago, in response to its assessment of the federal government’s effort to rescue the kidnapped 218 Chibok girls — since its engagement with the President in July 2015, was a misrepresentation of the group. 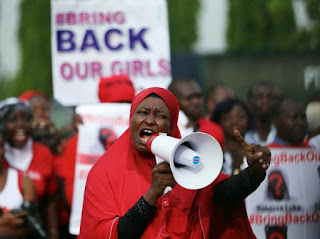 The advocacy group in a statement signed by Aisha Yesufu and Oby Ezekwesili last night, said that contrary to the presidency’s insinuation, the movement could not be insensitive to the loss of lives and livelihoods of other Nigerians, as well as the plight of those facing the humanitarian tragedy, saying its members absolutely reject the ‘’false labelling’. 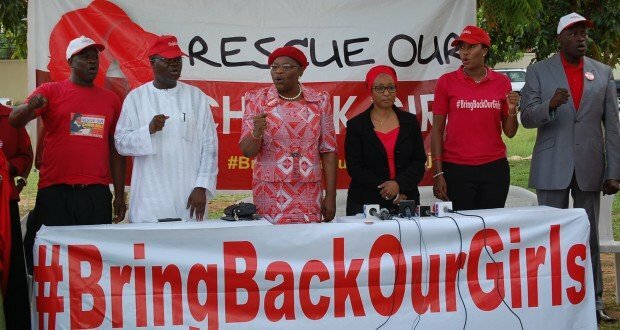 Presenting its monthly monitoring report for July 2016, BringBackOurGirls said that July 15 was 27 months to the sad day in April 2014, when the Chibok girls were abducted from their dormitories in Government Secondary School, Chibok, adding that 822 days later, 218 girls remain in captivity. ‘’We present this as part of our monthly monitoring of the efforts to rescue our girls and bring an end to the Boko Haram Insurgency’’, the group added. ‘’In a continuation of recent trends, the last month marked the liberation of thousands of our citizens and the opening up of more access routes. We also recorded a declining number of insurgent attacks within our shores and witnessed peaceful Eid celebrations in the capitals of the North East for the first time in over five years. The group added: ‘’We shudder at the possibility of more suffering for our fellow citizens in the North East, especially knowing what they have been through in the last few years”. ‘’Since the abduction of our girls we have led several initiatives, often times in advance of government. We crowd sourced the Citizens Solution to end terrorism early on and highlighted the need for improved military welfare and a comprehensive de-radicalisation program, among others. The group said it had also mobilised relief materials and campaigned on behalf of the Internally Displaced Persons and Refugees in neighbouring countries, going on to warn of an impending humanitarian tragedy for many months before any action began.